Edward P. Nolan counsels borrowers on commercial real estate loans, landlords and tenants on leasing transactions, and buyers and sellers of commercial property. He represents landlords owning over 100 retail stores, the majority of which are located in New York City. Mr. Nolan is the author of "Real Estate Tax Exemptions Granted by the New York City Industrial and Commercial Incentive Board", which appeared in the New York Law Journal. Mr. Nolan is a member of the Westchester County Bar Association and the Section on Real Property, Probate and Trust Law of the American Bar Association. 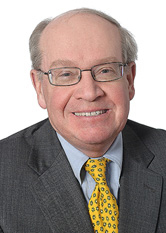 He is also a member of the Board of Directors and the Executive Committee of The Beekman Estate and is currently chairman of the Planning Board of the Village of Briarcliff Manor.